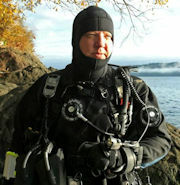 I can't make it this weekend but I certainly want to meet up and dive with some people in the central/southern Oregon Coast! Is the diving done inside the triangle? Could you guys post this on the Oregon Scuba Club facebook page? I am sure that some of the members would be excited to attend.